Northern Arizona Glam Squad is a team of professional hair and makeup artists providing on-location special occasions and wedding hair / makeup services in Flagstaff, Sedona, Grand Canyon, Prescott, Lake Powell, and beyond. We specialize in professional wedding hair, bridesmaid’s hair design, airbrush foundation, special occasions hairstyles, high definition professional makeup, blowout and style, clip in hair extension rental, hair extension application, wedding spray tans, bridal trials, salon service hair services, and we accommodate large wedding parties. In addition, we operate a beautiful, full service, modern hair salon located downtown Flagstaff, Arizona. We are certified in advance techniques such as balayage highlights (hand painted), color melting, ombre, sombre, many variety of hair extensions, Brazilian Blowout, and proudly double certified in sunless spray tanning. Our hair salon also offer traditional blonde highlighting, hair color, grey coverage, Olaplex treatments, and hair detox treatment services. See our salon website at www.flagstaffhairsalon.com Online booking available. All services and consultations are by appointment only since we are on location for beauty services each week. Thank you for stopping. We encourage you to click on the links below to see our body of work on our social media account. Our glam team has been in the beauty industry for years, our experiences and skill level has been rewards with two 2017 national wedding awards from Wedding Wire and Borrowed and Blue for best in Wedding hair and makeup artistry. We love what we do, and want to give our brides the confident to walk down the aisle feeling absolutely gorgeous! We work with many boudoir photographers and would be more than happy to recommend one to you if needed. Makeup application comes with or without lashes. The option is up to you. For the day of your photography session, please arrive with clean, makeup free, moisturized face, and clean, dry hair. We will do the rest. Throughout the year we will team up with a boudoir photographer to offer a package deal including professional hair, makeup, and photographer. Our current boudoir mini session will be posted under our PROMOTIONS section, or you may call or text to inquire about when the next one will be scheduled. One-on-one Makeup Lesson is offered at our Flagstaff salon. 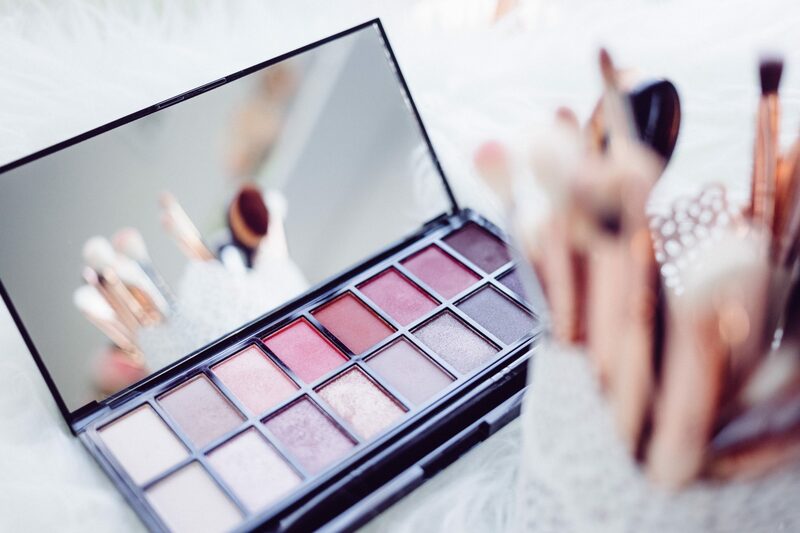 We will focus on the areas of makeup you need help with. We encourage you to bring your own makeup and brushes to help you use your tools to better perfect your makeup skills. One hour class start at $75. Group class prices range from $25-$50 per person.